Star Wars.com has posted the episode guides for the two part, one hour season finale. As Ahsoka and her allies struggle to evade the Trandoshan hunters, their efforts receive an unexpected boost when a new captive — Chewbacca the Wookiee — arrives. Ahsoka Tano: Is Her Past Her Future? Lightsaber Rattling did a great article on Ahsoka Tano and her relationship with Jedi Master Plo Koon this week and I highly recommend checking it out if you haven’t read it already. With the season finale two weeks away (April 1st), there is still plenty of time left for speculation. Will Plo Koon replace Anakin as Ahsoka’s master? Is such a thing even plausible? 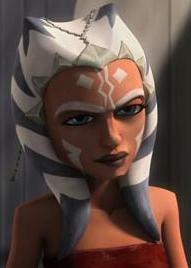 You can find out for yourself by reading the article Ahsoka Tano: Is Her Past Her Future?. We’d like to thank Peter Morrison for sharing such a great insight into Ahsoka and The Clone Wars. Del Rey has released the cover image for the next Lost Tribe of the Sith ebook: Pantheon. It will be available for download July 18, 2011. For now, enjoy the cover and feel free to discuss it in the forums. Del Rey will be releasing the 20th Anniversary edition of Timothy Zahn’s Heir to the Empire this June. The Anniversary edition will be a hardback sporting a new cover as well as annotations from Timothy Zahn. As a teaser until it’s June 21st release, Del Rey will be revealing one of those annotations every Thursday on their Star Wars Facebook page. 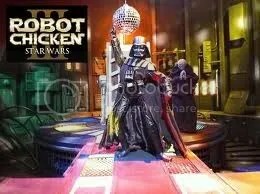 Blu-ray.com announced today that Robot Chicken: Star Wars III will be coming to Blu-ray on July 12th. The high definition release will include audio commentary, behind the scenes, deleted scenes, and making of featurettes. You can see the announcement here. I’m a big fan of Ewoks and Lando Calrissian, so when I ran across this I just had to share it. Albertalocalnews.com spoke with Billy Dee Williams, who shared a few things like how he got the part for Lando and going to fan conventions. However, he also shared that he kept a few mementos from the movies, including an Ewok head. Now that is just awesome. You can read the full article here. That’s No Moon, It’s a Supermoon! If you look up into the sky Saturday night, and think to yourself that moon sure looks bigger than usual, well, you’re right. 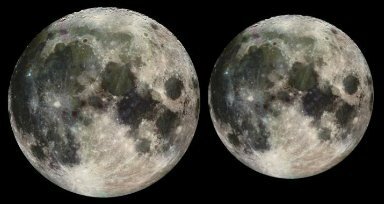 On March 19th, the moon will be the closest it’s been to Earth since 1992, thus giving it the appearance of being larger. In fact, it will appear 14% bigger and brighter, like a giant night light in the sky. Each year the moon has what is called a lunar perigee which is the point at which the moon is closest to Earth (the opposite is an apogee). Besides making the sky brighter, the supermoon will also make the tides a little higher. According to some, it could also bring some ill tidings, but it is very unlikely. It may also wake up the giant space slugs living inside the moon. Regardless, wherever you’re at this Saturday, be sure to check out the giant moon hovering above us.